Phoenix Software is a Pure Gold Partner and delighted to include them as one of our preferred data management solutions. 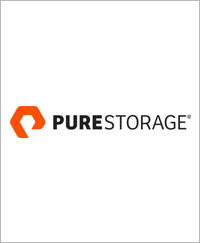 Pure Storage helps organisations push the boundaries of what’s possible. The company’s all-flash based technology, combined with its customer-friendly business model, drives business and IT transformation for customers through dramatic increases in performance and efficiency at lower costs, supported by its evergreen business model. Pure Storage delivers enterprise proven reliability, with a greater than 99.999% availability, resilience and data protection built in and consistent sub-millisecond performance, even through failures and maintenance. It provides a worry-free storage experience and its simple to use – no manuals, no tuning required and no downtime windows needed. Plus, the Evergreen business model gives you brand new controllers every three years with the guarantee that the support costs will remain the same, every year for the life of the chassis.